Ultrasonic sensors detect the presence of an object located in the trigger zone. 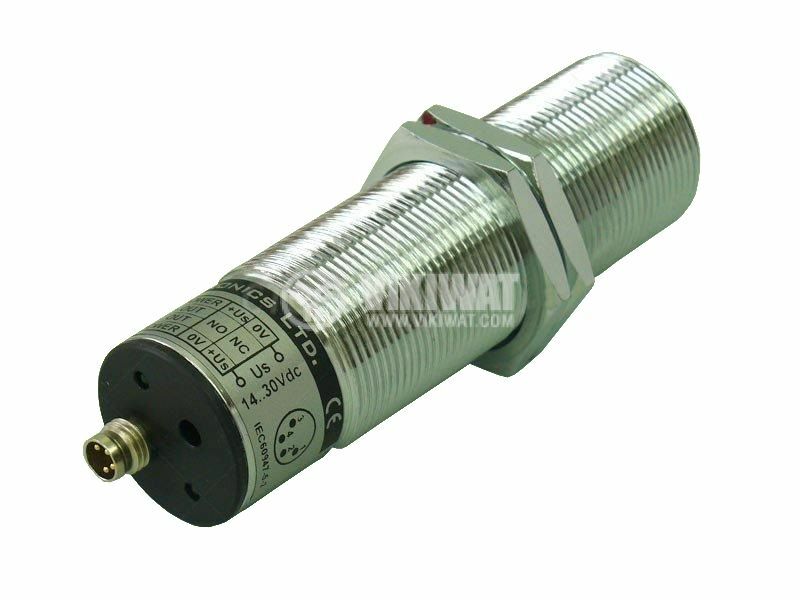 The range of the sensor can be programmed from 0.33 m to 3.3 m. The electrical connection of this sensor model is via a plug and is powered by a constant voltage in the range of 14-30 V. Three modes of operation of the key output. overall dimensions - M30x100 mm.